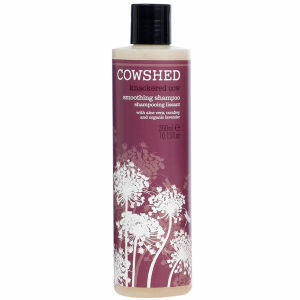 Cowshed Knackered Cow Smoothing Shampoo boasts a gentle formula that cleanses, nourishes and tames your hair, leaving it shiny and manageable. Enriched with moisturising aloe vera, nourishing comfrey and soothing lavender, it helps to tame frizz and flyaways for a sleek, lustrous appearance. - L.M.